I found a very odd editorial today on the New York Post website. It was one of those columns where the text strayed so far enough away from reality that you keep thinking the punchline is coming and it’s revealed as tongue-and-cheek. Writer Eliyahu Federman calls out Senator Booker for being a vegan. And then Federman cries that Booker would have the nerve to promote his position. Isn’t that what every elected official does? Would Federman ever call out an elected official for agreeing on Federman’s position on abortion (for example), but then slam that elected official for promoting that position with legislation? It’s just really odd to read someone suggesting that politicians are wrong for simply promoting a political position. Federman also doesn’t seem to support a bill to limit the use of antibiotics in livestock. The writer does not realize how important that effort is. The writer goes on to praise Booker for rescuing pets in trouble or homeless. And then slams Booker for promoting a no-kill shelter. It is clear Federman doesn’t know what a no-kill shelter is. Federman just didn’t bother to look into the issue. “No kill” doesn’t mean the shelter doesn’t euthanize suffering or aggressive animals. Why would people who shelter animals allow suffering? It’s fine if Federman doesn’t like Booker. That’s politics. But slamming him in an area where Federman is not at all well-versed was a huge misstep. Federman calls it “animal-rights extremism.” So not eating meat and voting for bills that promote public health and promoting shelters are extreme positions to Federman? Really? Federman’s editorial actually serves to paint Booker as a very compassionate person who cares about issues beyond his own back yard. Since I’m not familiar with Federman’s previous writings, maybe it’s possible that this was the actual mission. If so, the editorial succeeded in being a promotional piece for Booker. There is a back-and-forth building between no-kill advocate Nathan Winograd and People for the Ethical Treatment of Animals (PETA). Winegrad and others have slammed PETA for the number of animals euthanized at its shelter in Virginia. PETA has responded by stating the dogs there are too unhealthy or too dangerous to adopt out. Officials there claim the animals taken into the shelter are from surrounding areas and have been rescued from horrible situations. The charge is that 96 percent of the animals taken in during 2011 did not make it out alive. Now, an International Business Times article reports PETA has responded with a video, suggesting no-kill shelters are turning away pets when their kennels are full and are telling those showing up to drop animals off that they will need to do so at local municipal shelters. This sort of debate has been going on for some time now. I tend to try to separate myself from this back-and-forth. Animal welfare groups don’t need to go after each other, when the villains in the story are those who are the source of the problem. While puppy mill operators and people who continuing allow their pets to breed new homeless pets continue to hide untouched the shadows, this debate goes on. Maybe there’s enough blame to spread around, but the focus should be placed on those who are the source villains. I fully support the efforts of the no-kill shelters, but until we fix the problems, the euthanasia of homeless pets will continue. Until our state legislatures get serious about puppy mills and funding spay/neuter programs and join forces with animal welfare groups, the problems will go on. Until the federal government gets serious about these problems, they will go on. Until those who are uneducated about the need for spaying and neutering and about the horrors of puppy mills become educated, it will be difficult to fully solve the problem. We’ve ALL got to work together – within a Pack Mentality – to solve this crisis. Far too many homeless are dying every year. We can make excuses, but excuses don’t save lives. When the Humane League of Lancaster County (Pa.) announced this week it was going to be a no-kill shelter in February, it set off another debate on the issue of no-kill shelters. No-kill advocates firmly believe in policies where no healthy pets are euthanized in shelters. Some areas have seen success in this effort, where the trends are better in terms of spaying and neutering and puppy mills. The other side worries about the homeless pets turned away when these shelters reach capacity. This is a real concern in many areas of the country that have not caught up in reducing the rates of homelessness. This is true. But for example, some counties in my area do not have strong licensing laws or good spay/neuter initiatives – and too people are NOT taking responsibility for their pets. I write often about this issue in my local animal-welfare column and blog. My continued view on this debate is that no-kill is the goal. But we have to get there. Until we have better regulations across the nation to shut down puppy mills and hold the people responsible who are creating the problem of homelessness, we will continue to have this problem. In my home state, programs are place where at least some homeless pets are being transported to other states with shelter space. It is helping, but the area animal-welfare groups are overloaded with a constant stream of more homeless dogs and cats. Until we serious as a nation in holding people accountable, this problem will go on. Some pets enter shelters for more legitimate reasons. But far too many are there because they have been coldly discarded or someone failed to spay or neuter the parent dogs or cats. Or the dogs were purchased through a puppy mill and later developed physical or emotion problems. At this point, the burden turns to taxpayers, to local rescue organizations and to the people who donate to these groups or shelters. So while one side creates the problem, the other side – the side populated with compassionate people who care – pays for the costs. So I keep going back to it. What is wrong with this picture? Why are we not placing the burden on those responsible for creating it? An article that came across the Pack New Wire this morning highlights the no-kill shelter movement and in this case the hurdles the system in one municipality is facing to reach this status. Let’s start by reaffirming my thoughts on the No-Kill Movement. I’ve scanned over the book Redemption: The Myth of Pet Overpopulation and the No Kill Revolution by Nathan J. Winograd and finally this week I’ve started reading it straight through. The ultimate goal should be No Kill – for all shelters, animal-welfare groups and rescue organizations. Of course, everyone involves admits that some homeless pets will never make it out of shelters, due to severe health problems or aggressive behavior. But again, I FULLY support the mission of the movement. Where I tend to get a bit squeamish is this message that pet overpopulation is a myth. I understand the point Winograd is making, but I fear the people at the root cause of the problem will decide it lets them off the hook. And the people and entities creating homeless pets should never be let off the hook. Winegrad suggests there are plenty of homes available for homeless pets in the United States. The problem he and others see is that too few families are being reached out to as potential homes. Again, this is probably true. But half of the equation is being left out of the mix. On one hand, we’re asking these families to take on the responsibility of caring for the dogs and cats dumped out by irresponsible people. This is happening by the what – say the millions of pets each year? So it is very important to suggest the system is broken and we need to do more in shelters to drastically reduce the euthanasia rates. And it is important to try to reach out to more potential homes each year. But I would like to see an equal emphasis on the root causes of homelessness. We need to shut down the puppy mills and greyhound racetracks and find a way to make sure more dogs and cats are spayed and neuter. We need to reach a point where ONLY quality breeders are selling dogs and cats and where the general population is not allowing their pets to breed puppies and kittens into homelessness. The article on GoSanAngelo.com (Standard-Times) reports about half of San Angelo shelter’s adoptions are through rescue groups. Last year, 6,061 cats and dogs were euthanized at the shelter, down from 7,089 in 2010. That number is still way too high. I think everyone can agree on that. The biggest feeder to the shelter – dogs purchased and puppies breed indiscriminately. Exactly. And don’t let anyone tell you that purebred dogs don’t end up in shelters or with local breed-specific rescue groups all over the country. We need better and more cooperation between municipal shelters and local rescue groups. We need more low-cost and no-cost spay/neuter programs. 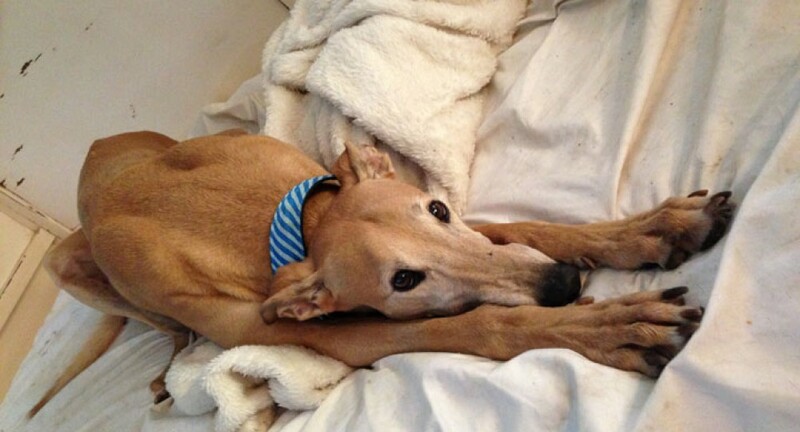 We need improved legislation to shut down puppy mills and greyhound racing. It’s not just about the shelter operations and it’s not just about spay/neuter and it’s not just about the irresponsible people who create homeless pets. The solution is multifaceted and unfortunately the change for the better won’t happen overnight. But now is the time to make it start happening.